That looks like a proper shambling undead horde! Do you have plans to extend it further? Thanks! 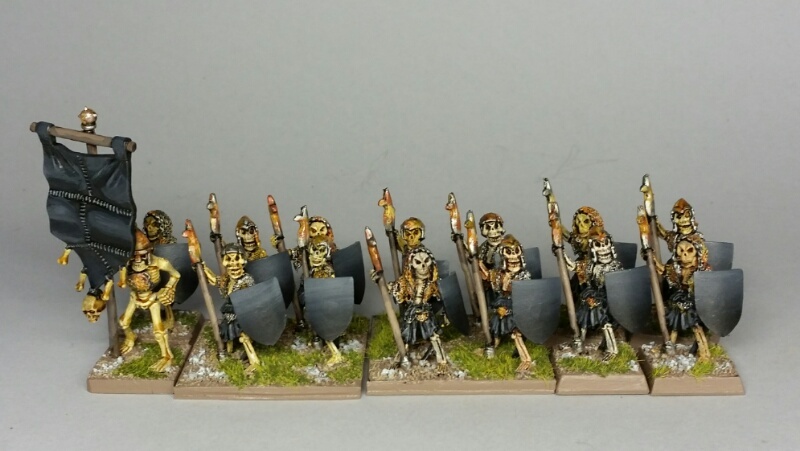 Yes, in terms of skeletons, I already have some more painted (1 more horde of regular infantry, a regiment of wights/heavy infantry, a light cavalry regiment, and an assortment of giants, beasts and characters.) I also have a bunch of unpainted infantry -- maybe three more hordes still to paint -- and a few other odds & ends. That is indeed fine work, well done getting so much completed. Hope you are feeling much better too. Thanks. Starting to feel slightly better. Hoping that continues!